The October Scopes are in! See what thrilling things are in store this month. 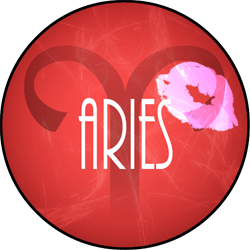 You’re a veritable whirlwind this month, Aries, now that Mercury has gone direct. You’ll find yourself dashing here and there, undertaking new projects, and hitting the gym with a vengeance, so you’ll relish Tata Harper’s Soothing Muscle Gel for post-workout relief for sore muscles or for a massage. Crafted with 100% natural and nontoxic ingredients (Arnica, Blue Cypress, Ginger, Lemon Peel and more), it has an uplifting scent and refreshing result. Go for it – Tata Harper has you covered! Available: www.tataharperskincare.com. You’re destined for a brush with greatness with month, dear Bull, if you reach for the Artis Fluenta, Oval 6 Makeup Brush that combines ergonomics with design and function with performance. Like you, it’s sleek and modern. It’s perfect for blush, contouring, applying to the entire eyelid and for foundation – and it’s patented, so you know it offers something different. It’s animal hair-free. 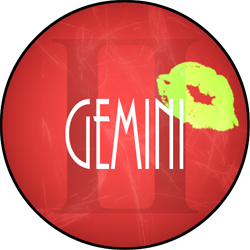 If anyone knows how to highlight the positive, Gemini, it’s you – especially this month. Start by getting a Luminous Definition Contour & Highlight Kit by 100% Natural skincare line Tata Harper at www.tataharperskincare.com. Then put your best face forward with the resulting healthy, radiant complexion and skin-safe sun-kissed glow. Bronze where you please, when you please, and sculpt to chisel those cheekbones. Direction included in the kit. Last step: chase those goals this month – the stars will align! 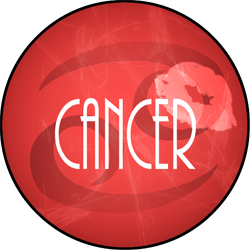 The perfect metaphorical beauty product for you this month, Cancer, is the Pura Naturals Active Charcoal Cleansing Sponge, since you’ll be scrubbing away any of your outdated ways of doing things to usher in a new season of success. These soap-infused sponges present a new way to cleanse: the charcoal combats toxins that create breakouts, and the sponge is part-loofah, part washcloth. Infused with Level Naturals soaps, hydrating oils, tea tree oils and charcoal, they exfoliate, extract oils, and keep you glowing for all of your close-up moments this month. Find them at CVS or www.puranaturalsproducts.com. 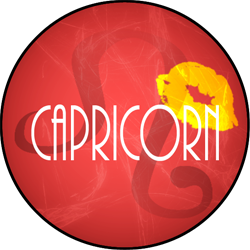 Captivating Crabs: Ariana Grande, June 26; Meryl Streep, June 22; Frances McDormand, June 23; Deborah Harry, July 1; Princess Diana, July 1; Wendy Williams, July 18; Kristen Bell, July 18; Selena Gomez, July 22; Frida Kahlo, July 6, Gisele Bundchen, July 20. Regal lioness, the Midnight Honey Bath & Beauty Oil from Farmaesthetics represents how luscious October will be for you now that Venus is well positioned and Mercury is direct. You’ll love how richly hydrating this certified-organic honey absolute oil is (enriched with vitamin E), and can use it on the face and/or body, especially after a bath or shower. 100% natural and available at www.farmaesthetics.com and at Urban Outfitters stores, this will be your soft skin secret when romance sizzles this month. Detail-oriented Virgo, the small things are everything for you, and this month you’ll be recognized for your diligence and attention to the fine print. For you, Karin Herzog’s AHA Cream from Lake Geneva, Switzerland -- with fruit acids and nourishing vitamins -- is key for exfoliating and hydrating. This overnight cream will leave your skin refreshed and glowing so you can reap those work rewards with a lovely visage. Scoop it up at www.karinherzog.com. 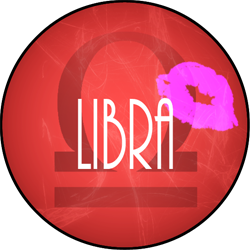 You’re the ultimate balancing act this month, amazing Libra, as you balance work, family, possibly travel and social obligations. Lucky you! To combine moisturizing with sun protection, stock up on Murad’s Essential-C Day Moisture with protective SPF 30. It smells delicious, and is a wonderful two-for-one benefit as you continue to inspire awe. Find it at www.beauty.com and www.murad.com. Sultry Scorpio, you know a thing or two about both enlightenment and radiance, so this month let them both shine through with Enlightened Radiance Cream from Skinn. This will be a month where you can re-group, organize, strategize and plot your future, so make sure you take care of your skin while you’re forging your path. Infused with peptides, antioxidants, loads of vitamin C, citrus, apple and fruit acids, this is a harvest cornucopia for your complexion! 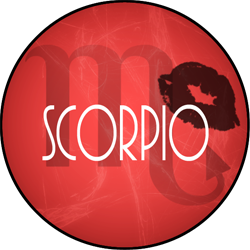 Smoldering Hot Scorpios: Anna Wintour, November 3; Katy Perry, October 25; Emma Stone, November 6; Gabrielle Union, October 29; Grace Kelly, November 12; Jodie Foster, November 19; Ming-Na Wen, November 20; Kim Kardashian, October 21, Marie Curie, November 7; Marie Antoinette, November 2; Kimberly McDonald, November 16. 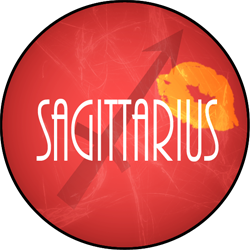 The eyes have it for you this month, dashing Sagittarius, as you peep into other cultures, books, concepts and even cuisines. Adorn yours with an autumnal rose palette: Luxe Premier Shadows in Rosette, which delivers collagen-bolstering peptides to the eyelids and remains creamy, not crepe-y, as you stretch your full days into fun-filled nights this month. No creepy fillers, only concentrated quality ingredients. 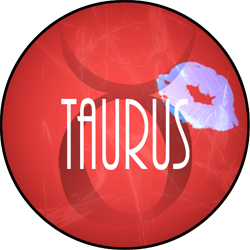 Sultry Sagittarians: Nicki Minaj, December 8; Scarlett Johansson, November 22; Christina Applegate, November 25; Miley Cyrus, November 23; Tina Turner, November 26; Kathryn Bigelow, November 27; Bette Midler, December 1; Tyra Banks, December 4; Judi Dench, December 9; Taylor Swift, December 13; Anna Faris, November 29; Britney Spears, December 2, Jane Austen, December 16. Life will feel so delightfully lush and sweet this October, Glam Goat, with multiple planets finally moving forward! You’ll snuggle up with your dreamboat over cocktails and sketch out exciting plans for the future. Revel in the highbrow scent of Vanille Galante, which is a complex, haunting vanilla that only Hermes could deliver. Sweet, alluring, mysterious and unexpectedly spiced, it’s akin to the warm, sultry feeling you have when you sip cognac before a fireplace in your favorite dress. Glamorous Goats: Michelle Obama, January 17; Carolina Herrera, January 8; Helena Christensen, December 25; Katie Couric, January 7; Hikaru-Utada, January 19; Kate Moss, January 16; Nigella Lawson, January 6, Patti Smith, December 30; Zooey Deschanel, January 17; Sienna Miller, December 28. Beautiful Water Bearer, this month you’ll feel restless and will be searching deeper for answers to longstanding problems. Fortunately, they’ll come quite easily! While you’re putting your mind to work, let your lips bathe in all-natural goodness from Cate McNabb Cosmetics. Whether you favor lip lacquers, matte or satin (bold or subtle shades), you’ll find them all and more at www.catemcnabbcosmetics.com. Shea butter, olive oil, sunflower oil and jojoba oil all soften and protect lips in your favorite fall hue for a stunning victory smile. Life is Beautiful for you this month, dreamy Pisces, so Lancome’s La Vie est Belle fragranced body cream is the ideal way to flaunt it. It’s creamy yet lightweight, and the scent is crisp and uplifting, and works for both day and night. You’ll accomplish much this month, almost effortlessly, and the best part will be how much you enjoy every moment of it. Find La Vie est Belle at www.nordstrom.com. 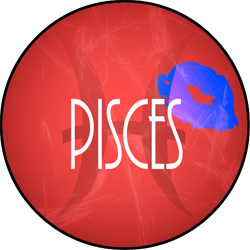 Perfectly Piscean: Rihanna, February 20; Ellen Page, February 21; Drew Barrymore, February 22; Chelsea Handler, February 25; Rashida Jones, February 25; Elizabeth Taylor, February 27; Patricia Mills, March 1; Carrie Underwood, March 10; Eva Longoria, March 15; Jessica Biel, March 3, Olivia Wilde, March 10.